The woman works as the editor. 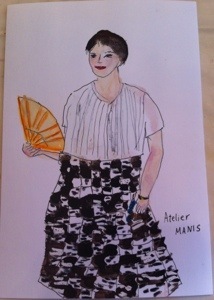 She wears the atelier manis long skirt. The factory is in Bali. The running stitches had the strong impact.